When we speak about Lithuanians GPS devices we usually mean Teltonika, the number one European tracker’s manufacturer, or Ruptela. Notwithstanding, one other local company Baltic Car Equipment, or BCE, also has something special to offer. We took a look on their BCE FM-500+ GPS tracker to decide how competitive is it on the back of such a powerful rival. This GPS terminal weights just 73 grams and it continues “sizing chart” of high-end vehicle devices: they need to be portable enough for using in any type of trucks and cars. 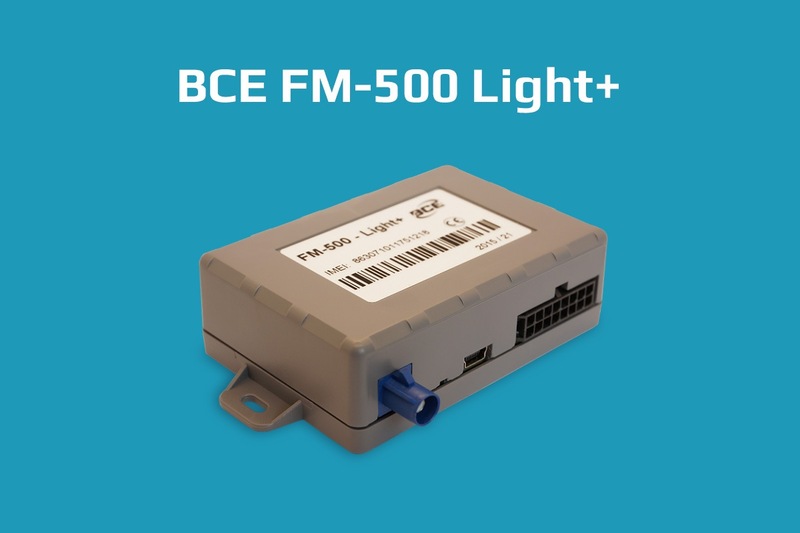 BCE FM-500 Light+ looks solid and a little bit old-school with its I/O interface and a connector for external GNSS antenna. However, it doesn’t confuse a mounter or end-user. This GPS is usually mounted under a dash panel. It has special ears for more stable mounting. Its external GPS antenna, that is sold in a package with the device, can be glued under a windscreen. A SIM-card holder is placed inside the device. You should unscrew two curbs to open a case and eject or change SIM card. It is not so suitable, but bearable because you don’t need to do it regularly. It also won’t let your drivers easily cheat with that. The device is equipped with a 700 mAh built-in battery that is used for emergency situations and security purposes. You will know exactly what would happen with your vehicle even in case of а premeditated sabotage. Also the good news is that device is specially protected from power surges up to 120V. This is useful for vehicles with ground switch and on older vehicles that may have defective electric wiring. Built-in 3D-accelerometer (LIS3DH) is used for towing alert and harsh driving control. Every hard braking will be detected by this device and a fleet manager can get the statistics of how accurate his drivers are on a road. Of course, BCE FM-500 Light+ has an non-volatile memory chip to store the data when vehicle is outside of GSM coverage area. All BCE devices have LED for indication. Short blinks are used for checking GPS status, long blinks are used for GSM modem status. In general, BCE FM-500 Light+ appearance leaves good impressions. Yes, it is not so streamlined as we all wait, but it looks like a quality stuff that will not get damaged after a month of using. We tested this device on Loccate service (which is based on Navixy software platform), however, you should know that your service has to work well with BCE platform to to get all features of these devices. 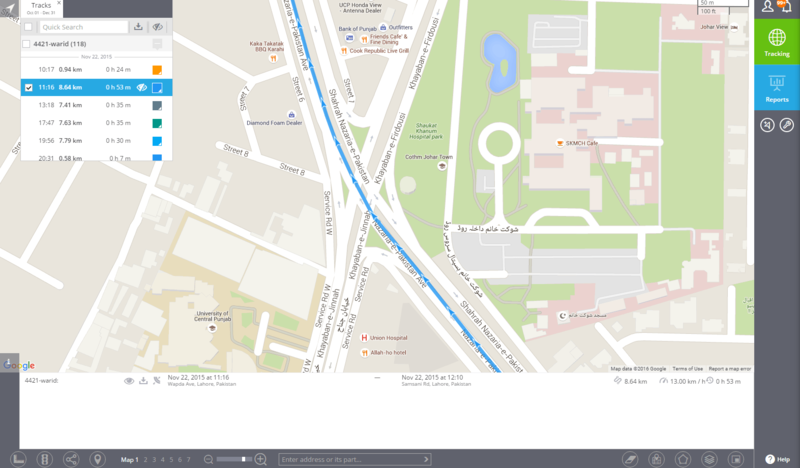 It is uncomfortable for customers who used to use other GPS services, but want to use these GPS terminals there. However, our review will be useful for people who use BCE FM-500 Light+ with off-site GPS services. 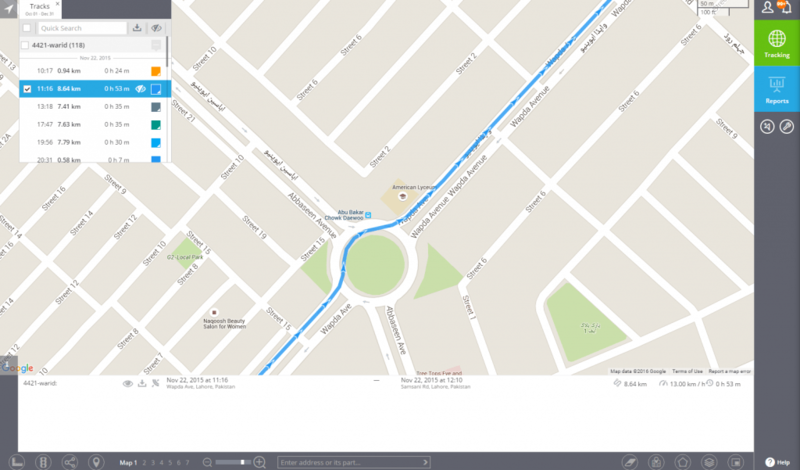 This GPS terminal shows good tracking line without any significant divergence with the map roads. The only one problem is the roundabout motion when the device “cut” the tracking line that is not good for a GPS odometer and counting the distance. 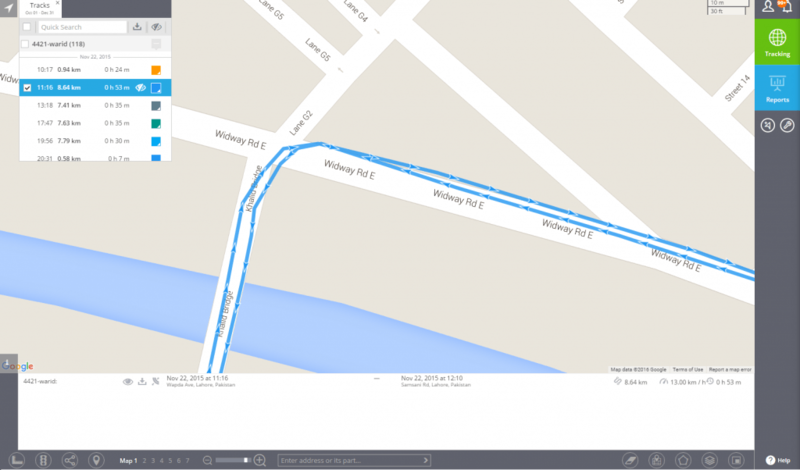 Although it still looks well enough for understanding how your vehicle move there, that’s why it will work for most customers. Using of external GPS/Glonass antenna makes this quality tracking more stable as well as the supported A-GPS feature. The device can also position itself by Cell-ID (LBS), thus, it works only with 2G networks. Eventually, BCE FM-500 Light+ tracking performance is solid and stable. The tracker successfully fulfils its main function and can be used both in an urban area and in a countryside. The tracker also registers all power-offs in its built-it memory, that’s why you will know when and why your device was switched-off. By the way, the tracker has a protected power adapter that can work even with 100V voltage. Watch the proof video from our partners. The next strong side of BCE FM-500 Light+ is its reach functional, that can be spread with different external devices and sensors. Availability of 1-Wire, RS232 and RS485 interfaces makes BCE FM-500 Light+ extremely high-functional for a fleet manager who want to take full control of their business units. At the end of the article, we want to thank our friends from UAB “ITM Group” who gave us these devices to test. 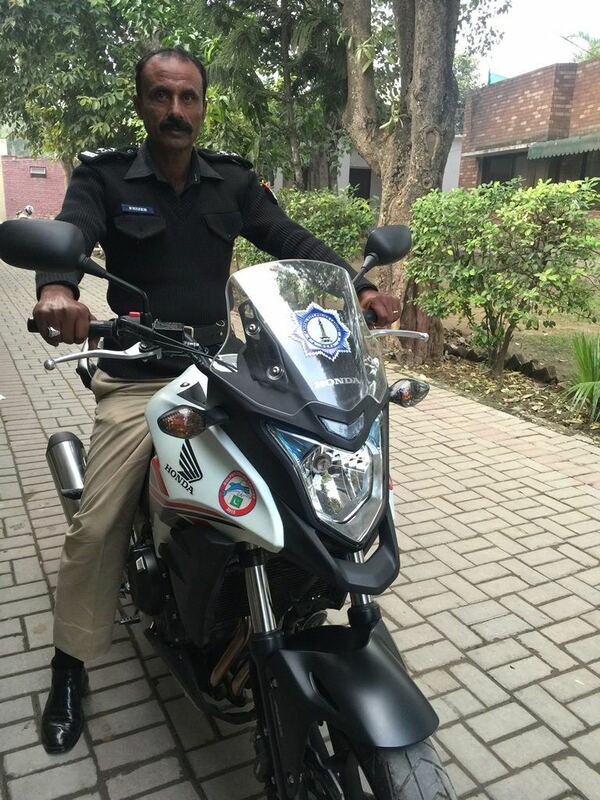 They do a great work equipping Lahore Police Department in Pakistan with more than 500 units. 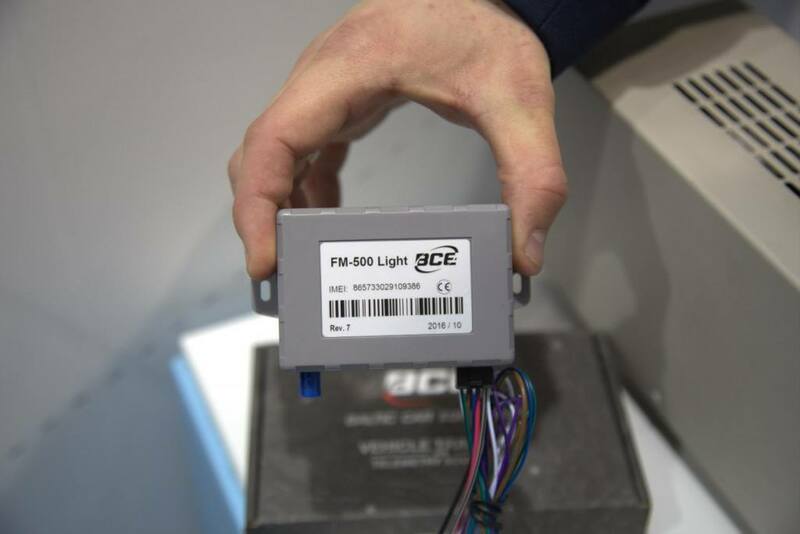 Right now about 500 police bikes patrol the city streets powered by BCE FM-500 Light+ as well.